There are many people out there complaining about the Firefox RAM Memory Bug. Lets get it straight. It’s not a bug. It’s part of the cache feature. This ‘feature’ is how the pages are cached in a tabbed environment. To improve performance when navigating (studies show that 39% of all page navigations are renavigations to pages visited less than 10 pages ago, usually using the back button), Firefox implements a Back-Forward cache that retains the rendered document for the last five session history entries for each tab. This is a lot of data. If you have a lot of tabs, Firefox’s RAM memory usage can climb dramatically. It’s a trade-off. What you get out of it is faster performance as you navigate the web. Now a lot of us have found the ’secrets’ on how to manipulate settings in “about:config” to drop the memory usage as long as possible and to increase the speed at which Firefox loads sites. Read on to find out how to do this. Remember: Firefox (download it here) is the best internet browser available (in my opinion), and these tweaks below will make it even greater and faster. So enjoy! 1. Type “about:config” (no quotes) in the adress bar in the browser. 1. Type “about:config” into the address bar and hit Enter. Set “network.http.pipelining.maxrequests” to some number like 10. This means it will make 10 requests at once. This value is the amount of time the browser waits before it acts on information it receives. If you’re using a broadband connection you’ll load pages faster now. 1. Open Firefox and go to the Address Bar. Type in about:config and then press Enter. 2. Right Click in the page and select New -> Boolean. 3. In the box that pops up enter “config.trim_on_minimize”. Press Enter. 4. Now select True and then press Enter. 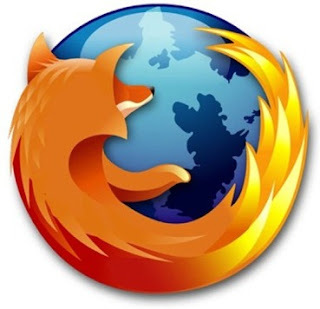 These simple tweaks will make your web browsing with Mozilla Firefox 2-3 times faster and easier. And I think they are fairly easy to apply. Enjoy! Would you like to join our Insider's List and be notified when we post something or get FREE exclusive content?